As you complete your online application forms, you may find a field marked “Cover Letter (optional).” Most applicants will see the word “optional” and buzz right by that field. Now, you could leave the field blank, too. But do you really want the hiring manager to view you like “most applicants”? 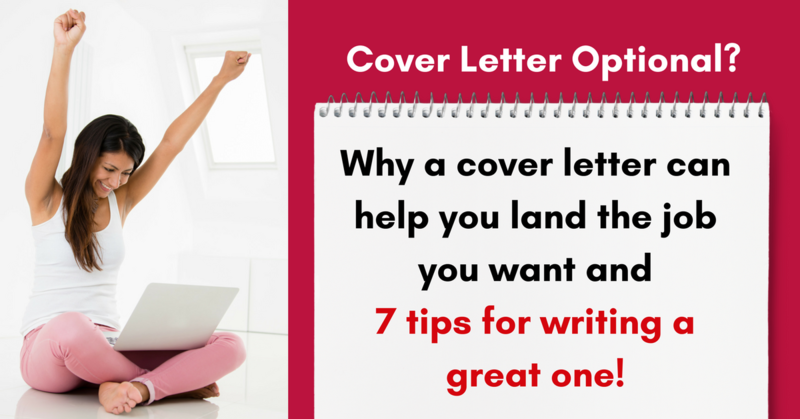 While you may not relish the idea of writing a cover letter, it really can set you apart from the field!